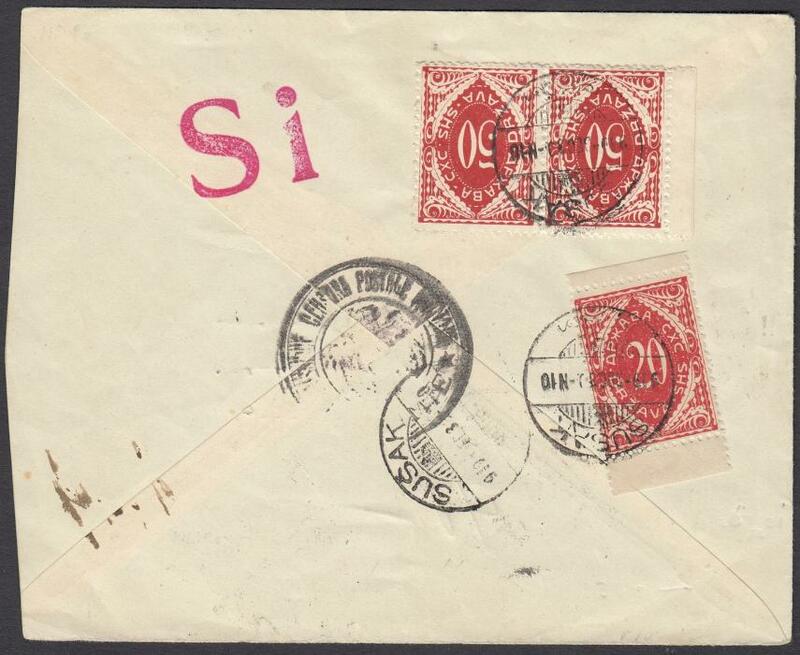 1899 wrapper to Fiume, Hungary franked by Gibraltar �d. single and gutter block of four, each with Greenock cds, straight-line �Paquebot� handstamp, an unusual cover from this Shipping Line. 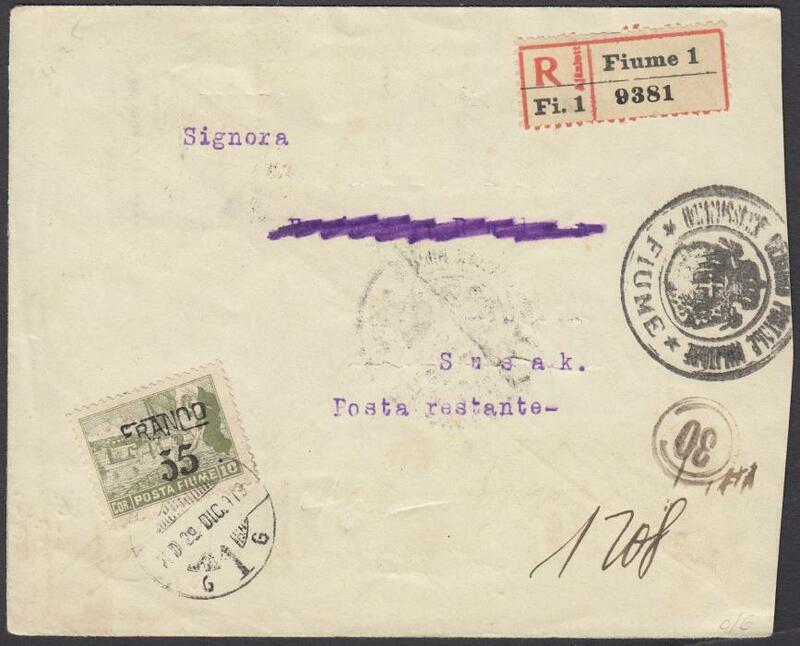 1919 registered envelope to Susak, Jugoslavia franked '55'on 10 cor. tied by 'FIUME/1' date stamp. Obverse also bears Italian military censor cachet and '120 f.' mss. charge, with postage dues to that amount on reverse.